At the House Committee meeting on Wednesday, the FAA announced that regulations previously to be issued by September 2015 were behind schedule. 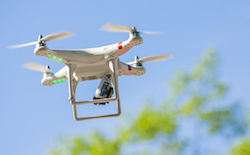 As discussed on the blog here, this delay may not sit well with companies that are demanding a better process for the approval to use drones; Amazon, for example, threatened to take its research overseas if the regulations were not only prompt, but also reasonable. Again, another day, another piece of news from the arena.